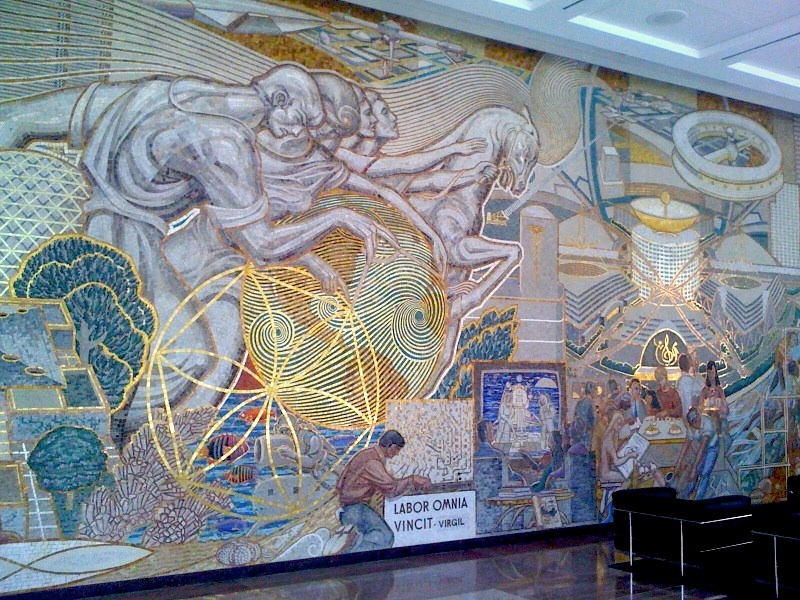 The DC LaborFestcontinues today with a free noontime tour of WPA murals at the VOA headquarters(330 Independence Avenue, S.W., Enter through the entrance on C Street, 1 block south of Independence, between 3rd and 4th streets; Federal Center Metro station is a block south; meet in the C Street lobby).FREE but click here to RSVP. 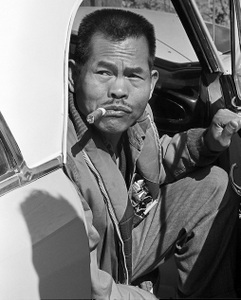 DC LaborFest Director Chris Garlock will lead a tour of Ben Shahn’s The Meaning of Social Security, Seymour Fogel's The Security of the Peopleand The Wealth of the Nation and Philip Guston's Reconstruction and the Wellbeing of the Family. "I feel that the whole Social Security idea is one of the real fruits of democracy,” said Ben Shahn. “There may be some limitations to my powers of exposition, but at least it is my aim to make the mural a clear and feeling picture of Social Security." DC Labor History Walking Tour Saturday: On Saturday, join Garlock for a stroll through labor history in downtown Washington DC. “From the A. Philip Randolph bust in Union Station to Joe Hill’s ashes, worker’s history is around just about every corner in our nation’s capitol, if you know where to look,” Garlock says. This 2.5-hour walking tour of downtown DC reveals labor’s often-untold story of protest and resistance. Benefits DC Jobs with Justice: $15 per person, $25/couple, $10 student/unemployed (no one turned away for lack of funds); click here to sign up. “Come enjoy a beautiful day with other DC activists, learn fascinating labor history, and support DC Jobs with Justice in creating new labor victories for the history books!” says JWJ. Meet at 12 noon in front of the AFL-CIO, 815 16th Street NW. Exhibit: Diego Rivera's "Man At The Crossroads"exhibit at the Mexican Cultural Institute (2829 16th St NW, Washington, DC) closes on May 17. 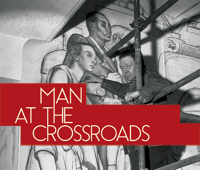 The exhibit centers around the mural Rivera painted in New York City, reconstructing its history with reproductions of previously unpublished material, including letters, telegrams, contracts, sketches, and documents, following Rivera's commission, subsequent tension and conflict, and finally, the mural's destruction. FREE; Open M-F 10-6, Sat 12-4. Play: Living Out, a comedy by Lisa Loomer about working mothers, race, class and immigration status closes May 18. A funny and touching play that explores the shared humanity between a nanny and her employer and the differences wrought by race, class and immigration status.